Consumers in England may soon be asked to pay a small deposit on single-use bottles and cans which they can get back when they return the containers for recycling. It’s a bid to cut the UK’s plastics waste problem, but will it work? The scheme is based on similar schemes run in around 38 European nations. Consumers will pay slightly more at point of sale. Exactly how much more isn’t clear yet, but prices in Europe range between eight and 22 pence. That will differ based on things like the size of the product in question and exactly how it can be processed for recycling. Despite press reports that dubbing the proposed deposit-return scheme (DRS) a “tax”, the scheme isn’t that because consumers can get their deposit back. 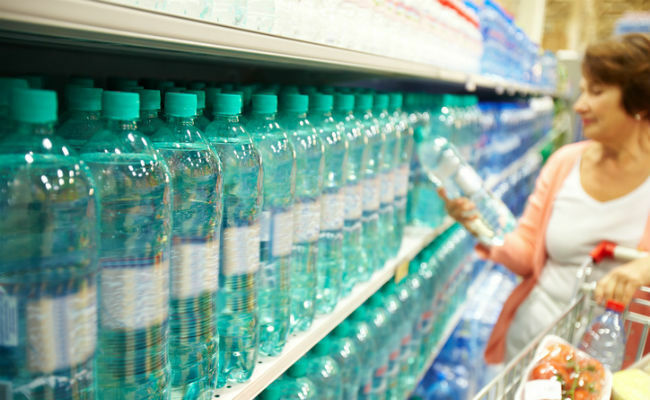 When a shopper returns the single-use bottles or cans, they will receive money back. There are a variety of ways to do this, but vending machines that automate the process are a popular choice for their ease of use. When will the deposit-return scheme come into force? Put simply, we don’t know yet. The government is currently in the process of consultation to see how the scheme might function in the British retail sector. Campaigners have wholeheartedly welcomed this change — indeed, many have been pushing for this or similar schemes for a long time — but they caution that the scheme should not be undercut. For example, making participation in the scheme voluntary for most retailers would dramatically blunt its impact. Scotland, which sets its own policies on matters like this, is already well on the way to bringing an identical scheme into force, while the BBC notes that Wales is looking at how it can best facilitate a nationwide move toward the DRS. Will the DRS scheme work to cut plastics? The problem the UK has faced regarding plastics waste is, primarily, what makes plastics so good for manufacturing: it is cheap and easy to process. The UK’s repeated demands of the retail sector to voluntarily cut plastic packaging has fallen on unwilling ears. As a result, the UK currently only recycles just over a third of its plastics waste each year, and the plastics manufacturing lobby is keen to see that situation stay the same. In recent years though, the UK has stepped up pressure on plastic pollution. The 2015 introduction of a plastic bag levy on single use supermarket bags has decreased use by 85 percent which, as wildlife and environmental campaigners are quick to point out, is a significant step toward getting plastic bags out of our oceans and preventing harm to our wildlife. In terms of nations and states where similar schemes are active, Germany may present a good example. In Germany, a DRS was introduced in 2003. Now, 99 percent of plastic bottles are recycled. Compare that to the UK’s 43 percent of the 13 billion bottles sold within the UK every year, and we see that there is significant room for improvement. In the United States there are eleven states that have similar schemes, including California, Oregon, and Michigan. The schemes differ in size and scope, but the net effect of the legislation has been a significant drop in single-use plastics and, some research suggests, there has been little to no burden felt by the consumer. Of course, one country’s success does not necessarily translate to another country, but there is now a significant body of evidence that these schemes can provide major improvements for recycling rates. The UK should adopt this scheme without delay and ensure that it is not undercut by lax rules that allow retailers and manufacturers to weasel their ways around what is an important step toward cleaning up our environment. when I was a child ,that's how I earnt my pocket money.